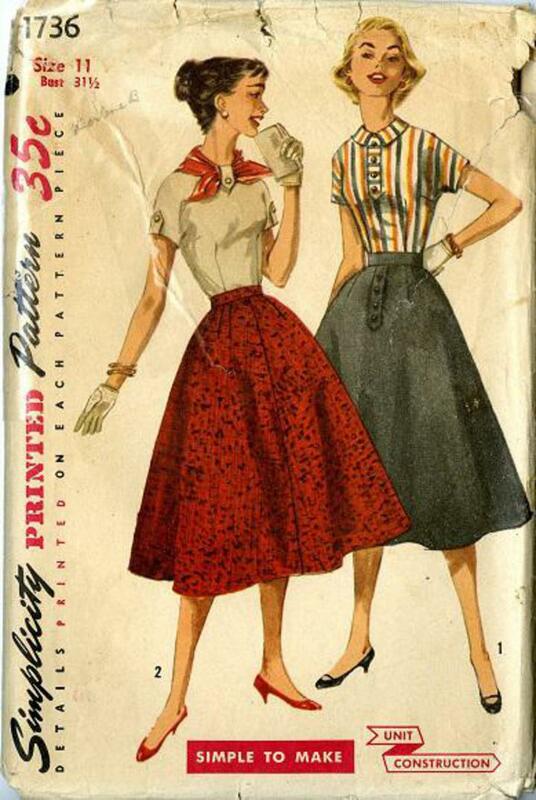 1956 Simplicity #1736 vintage sewing pattern, junior misses' 'Simple to Make' blouse and skirt, size 11. Learning-to-sew primer - a special unit construction sewing guide. Blouse has kimono sleeves and high neckline. V. 1 has collar and tab in front. B. 2 has tabs at neckline and sleeves. Skirt is flared with tab at corner front of V. 1.